Creating great content, having a stellar website, building relationships and working on your social media game are all factors that work to generate interest or leads in your business. But at what point does this interest become profitable? Lead nurturing is the process of bridging the gap between non-sales ready leads, and sales-ready leads, through providing highly relevant educational content that helps build brand and product preference long before the prospect is ready to buy. Maintain Permission To Stay In Contact With Your Prospect. If lead nurturing is about nurturing relationships with your leads, then maintaining permission to stay in contact with your prospects is the most important goal of lead nurturing. A bad lead nurturing campaign allows prospects to lose interest in your marketing messages, in which case they’ll either begin to ignore your marketing messages, unsubscribe or – worse case scenario – mark your messages as spam. Establish Key Ideas That Are In Line With What Your Product/Service Offers. 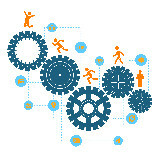 Lead nurturing is partly about preparing your prospect to purchase your service/product. In order to do this effectively, you can educate them and guide their thinking so that they understand the market better, so that your business is in the optimal solution when they’re finally ready to make a purchase. Watch For Signs Of Progress Through The Buying Cycle. You don’t give a watch to a baby, nor should you push a sales pitch onto a prospect that’s not ready to buy. It’s about giving the right content to the prospect at the right time, and you can only do this by watching for signs that they’re progressing through the buying cycle. This is done through lead scoring, but we’ll get back to that a little bit later. Now that you have those 3 goals in mind, let’s get into the process of lead nurturing. 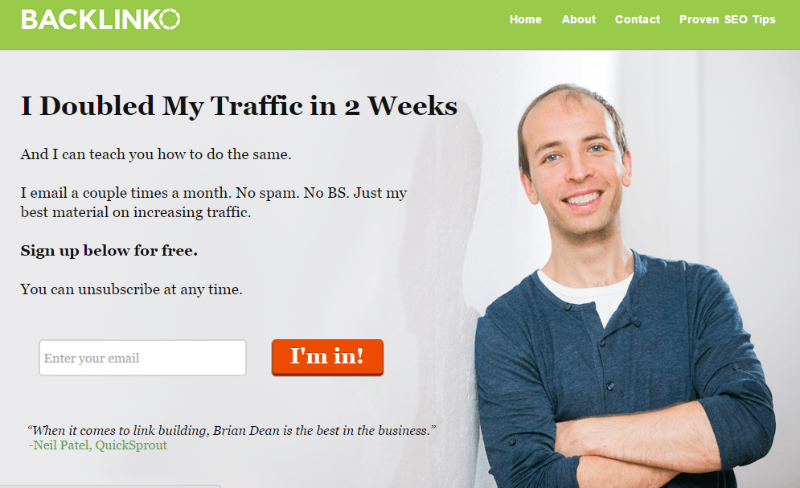 The lead nurturing process starts with a Top of the Funnel (TOFU) opt-in by your visitor. This is usually done by creating a CTA (call to action) that entices the visitor with an offer. The offer can be for a whitepaper, a PDF download, a newsletter, a guide, free templates etc. The idea is that you’re offering them something that they want to have because it’s useful, educational and valuable. And all they have to do to get it? Fill in a few contact details. How many form fields you ask your prospect to fill out all depends on your priorities. Less fields will gain your more leads, but more fields with gain you more qualified leads. 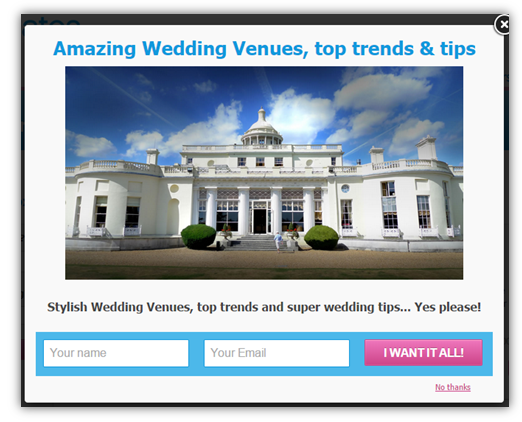 For example, the below form from WeddingDates.ie only has 2 form fields, “name” and “email”. This encourages more subscribers because they barrier to entry is pretty low, i.e. not many people feel any hesitation giving out their email address. But it also means that their initial marketing messages won’t be super targeted. 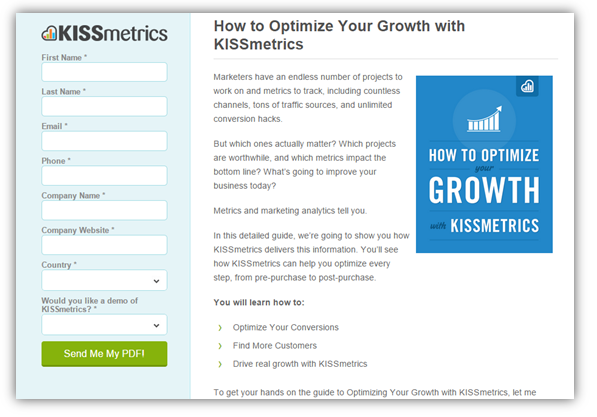 Kissmetrics asks for more information in the below form, including your company’s name and a phone number. While the longer form will reduce the amount of prospects signing up, it will increase the amount of qualified leads that they have (and even sales-ready leads since they have a “would you like a demo” field). 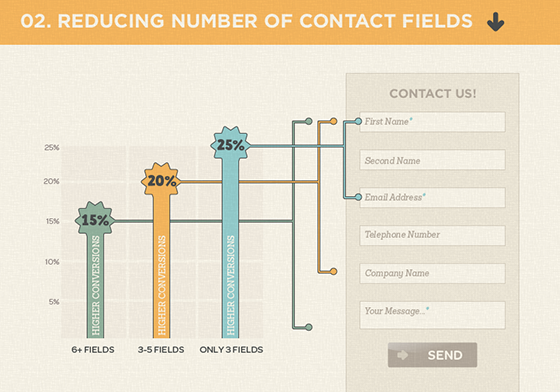 It will help also help them send more targeted messages to each prospect. It’s also important to note that if you are looking for more information from your prospects, the offer has to be really good (Kissmetrics have a variety of guides that contain a lot of valuable information) and you also have to prove that you’re trustworthy. Kissmetrics is a popular name, with a history of being trustworthy, so people will have confidence that their information is safe with them. Once you’ve grabbed your prospect’s information from your opt-in form, it’s time to start nurturing them. Once your prospect has given you permission to stay in contact with them by filling out the opt-in form, it’s then time to fulfill your promises by sending them the content you promised, at the times that you promised them. 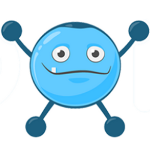 In the example below, Brian from Backlinko has promised several things. Emails only a couple times a month. Brian now has to honor these promises in his emails in order to keep his prospects happy and tuned in to his marketing communications. But will all his messages make sense for say… an entry level marketing student? Probably not. In order for marketing messages to be effective, they have to be targeted at the right kind of people. In order to do this, you have to create a variety of “buyer personas” that you can categorize your prospects in. 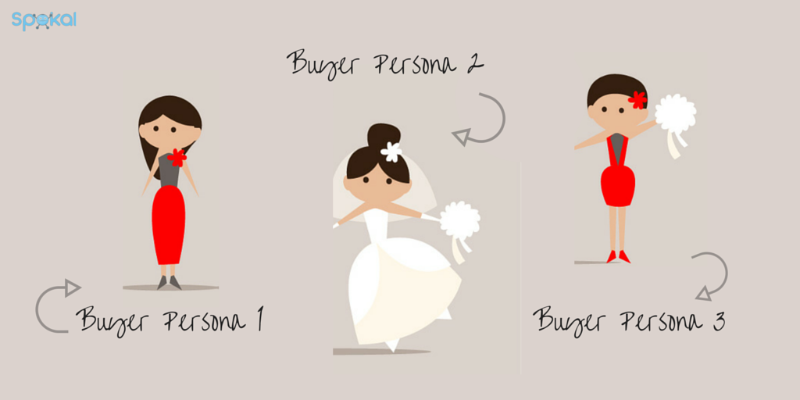 It’s important to have a few buyer personas that you can categorize your leads into. 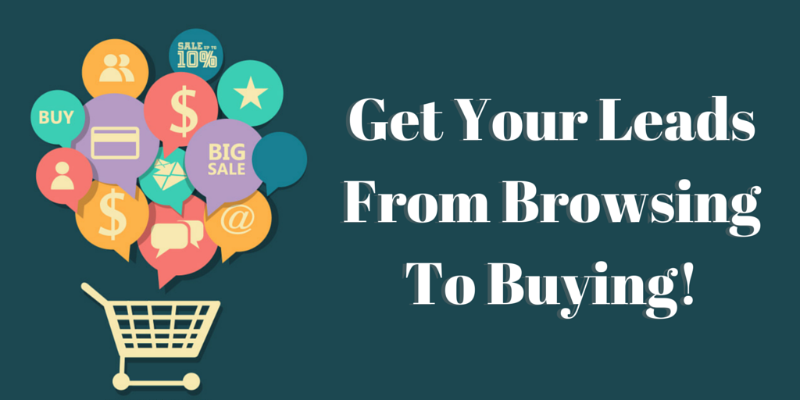 Each buyer type has its own needs and wants that you should be addressing in your emails. Marketing to everyone will mean that you’re not marketing to anyone in particular, so your communications won’t be as effective. It goes without saying that each buyer persona should be on a particular email list. It’s also worth noting that, depending on how you collect information, some buyer personas may be on multiple lists. For example, if you have an online wedding dress business, you might create a bride, mother of the bride, and bridesmaid buyer personas. Each of these buyers are looking for completely different outfits. It wouldn’t make any sense to send the mother of the bride emails about your new bridesmaid dress collection, would it? Instead, the “mother of the bride” buyer persona should be put on a separate list that receives information regarding clothes that would suit her role. By creating buyer personas and adding them to certain email lists, you’re nurturing your lead in a more specific and targeted way. Your communications are directed specifically at them, and their wants and needs, so they’re much more likely to interested in what you have to say. So now that you have your prospects in appropriate email lists, how do you know when they’re browsing, what they’re on the market for, and when they’re ready to buy? Lead scoring is a method that both the marketing and sales team use to rank leads in order to determine their sales-readiness. The score of each lead is based on the interest they show in your business, their current place in the buying cycle and their fit with regards your business. Companies can score leads by assigning them a certain amount of points based off of the leads’ fit, interest or behavior. Depending on your business, the information that you require to determine lead fit may be more or less extensive. For example, if you’re a SaaS aimed at Enterprise industries, you may need to know a lead’s role in their job in order to ascertain whether or not they have the authority to make any buying decisions at their company. However, if you’re a florist, location might be more important to determine lead fit. Once a lead’s fit is determined, they can segregated in your email list so that your campaigns make the most sense to them. For example, a Canadian florist might not send leads who are in the U.S. a “free shipping” discount, but they will send it to their Canadian leads. Lead interest is when you score your leads, well, interest. This is done by tracking your prospect’s online behaviors in order to measure their level of interest. Let’s take the wedding dress shop again as an example. If a lead signs up to your bridal newsletter, you might give them 10 points. If they click into a link from your email, because this action shows interest then you might then assign that lead 20 points. If they stay on your website for over 30 minutes, this action shows a lot of interest, so you might assign them 30 points. And if they visit a pricing page, well, then they’re practically already making a purchase with you so you might score them something like 50 points. As you can see, certain actions express more interest in making a purchase then other actions, and some less. As your lead interacts with your business, they’re score accumulates. These scores can be used in a variety of ways. For example, you might use these scores to set off a triggered email that send leads a particular kind of message. For example, you might send leads who score 80 out of 100 a case studies of how your product/service has helped others, or maybe a free trial of your product so they can test it out before they make any commitments. The buying stage and timing of a lead is also something to take into account in your lead scoring campaigns. The buying cycle is usually broken up into three different stages, that of awareness, consideration and purchase. What stage your lead is in will determine what marketing communications will work most effectively for them. During the awareness stage, it’s about introducing the lead to your market, and what problems there are, and how your product/service solves those problems. The consideration stage is when the lead can be given more detailed information of your solution, social proof of the effectiveness of your product (testimonials and reviews) and as they progress through the consideration cycle you can then also offer them free trials. Once they opt-in for the free trial, then the next step is just for them either to decide that your product works for them or not! Marketers can use this information to adapt their messages according to the leads’ stage in the buying cycle. But how can one person do all of this? Well, they can’t. This is where marketing automation comes in. Most marketing automation platforms have lead nurturing capabilities, but there are also some that specialize in lead nurturing. To determine what kind of marketing automation software that you need, head on over to our comprehensive guide and answer just a few questions: Not All Marketing Automation Platforms Are Born Equal. Don’t Choose The Wrong One. With the right marketing automation software, and with the right goals and strategies in place, your business can easily encourage your prospects through the buying cycle by giving them the right content at the right time through lead nurturing. We’ve given you a lot of information to start off with, but the best advice we can give you is start out simple and work your way up to a more targeted and strategic strategy as you become more familiar with the practice of lead nurturing and the software that allows you to accomplish it effectively. And, as always, test and tweak your lead nurturing campaigns. Nothing is ever as simple as “set it and forget it” when it comes to the success of your business. That's what we're here for. We want to send you a small business pack that has blogging templates, guides and an A-Z of online marketing!